Simply put, the larger the letter, the easier it is to read. Signage acts as a subliminal advertising tool. 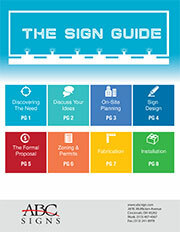 Is Your Business Signage Confusing?